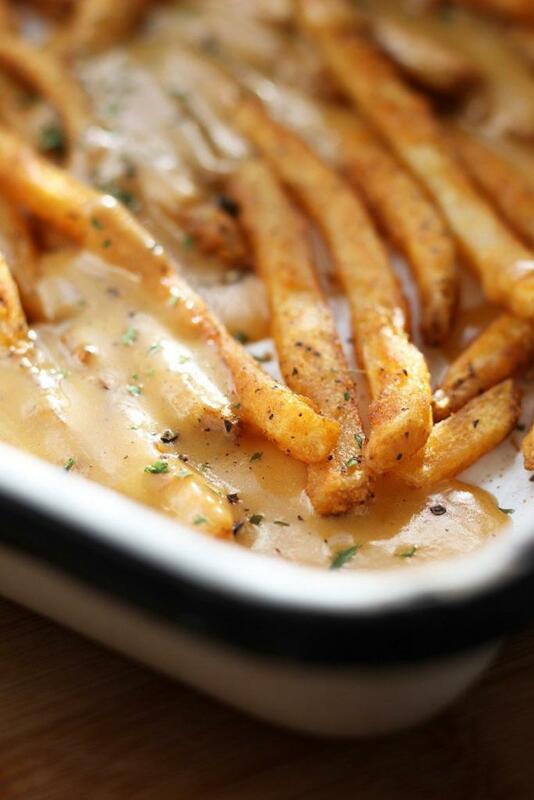 Seasoned fries smothered in a cheesy Welsh Rarebit sauce makes for the ultimate comfort food known as Welsh Rarebit Poutine. 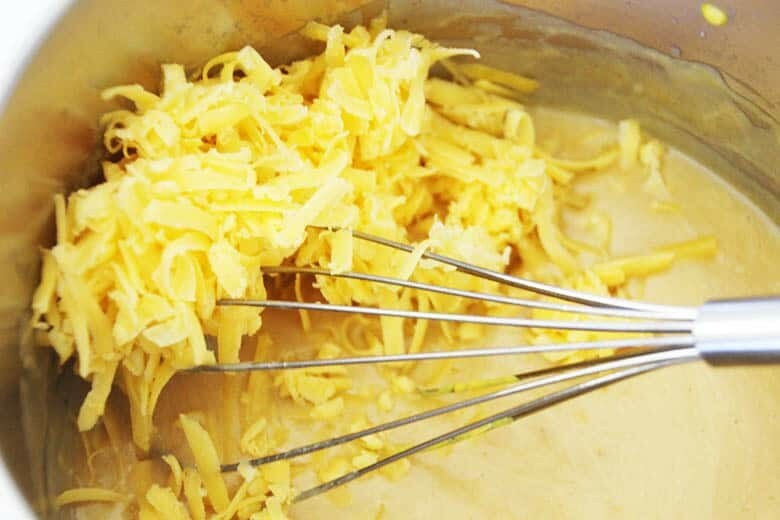 For the uninitiated, Welsh Rarebit is a robust cheese sauce that starts from a roux- then beer is added along with sharp cheddar, mustard, worcestershire and a pinch of cayenne. This cheesy goodness is usually drizzled over toasted bread and is traditional pub fare dating back to the 1700’s. We are marrying the Canadian classic comfort food called Poutine with this Welsh comfort food by drizzling Welsh Rarebit over seasoned fries. If you don’t want beer, just substitute wine or apple cider. Easy! I came up with this crazy idea after writing my post on Welsh Rarebit and had leftover cheese sauce. I was curious as to what else might go well with it. I dove into my freezer and came up with seasoned fries, tater tots (I’m a kid at heart) and frozen veggies. All of them were a hit with my family so now this is one of my go-to comfort foods. I had leftover seasoned fries from my post on Poutine. Since this is like Poutine, I am calling this invention Welsh Rarebit Poutine. According to the Merriam Webster Dictionary, a roux is ‘ a cooked mixture of flour and fat used as a thickening agent in a soup or a sauce’. 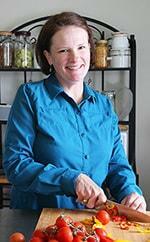 The flour and fat are mixed together in even portions by weight, not volume. 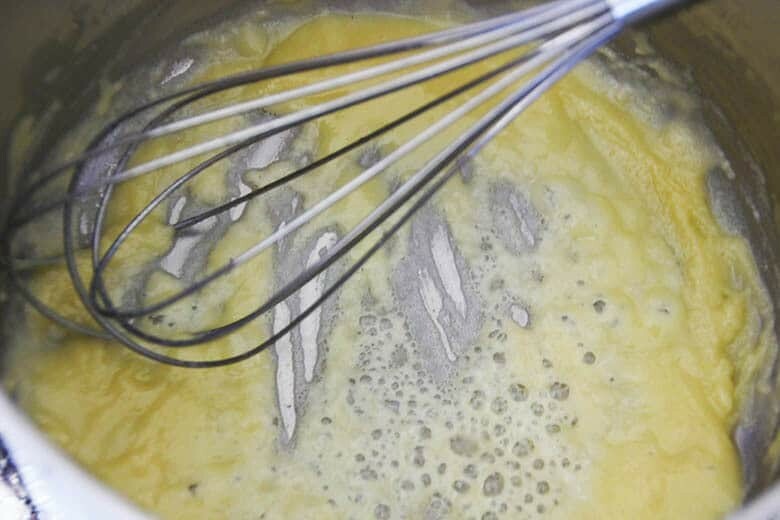 The purpose of a roux is to thicken sauces and soups. It also adds a little flavor when you cook the mixture to a nutty, golden brown. 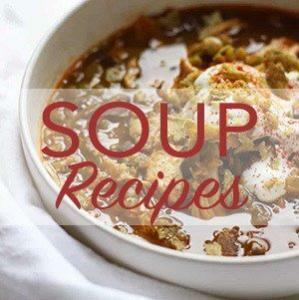 You could thicken sauces and soups with just flour but this will impart a raw flour taste. By cooking the flour in some fat first, the thickener is perfectly seasoned. If roux rendering is new to you, read my article on How to Make a Roux.There are step by step instructions and more information on what you can use a roux for. What are your thoughts on this cheesy sauce? What other food can we decorate with Welsh Rarebit? Leave comments below so we can all see what you come up with. If you make it, snap a pic and #FusionCraftiness on Instagram. I wanna see! A traditional Canadian comfort food is re-invented with the addition of the cheesy Welsh Rarebit sauce from across the pond. One package of frozen fries, cooked according to package directions. While fries are cooking, in a medium sauce pan heat butter and flour over medium heat and stir constantly with a whisk until the roux turns a golden color and smells nutty. Add beer and stir well with whisk. Add pepper, cayenne, mustard, Worcestershire sauce and nutmeg, bring to a simmer. Add cheddar and stir well. Continue to cook until cheese is melted and sauce is well developed. 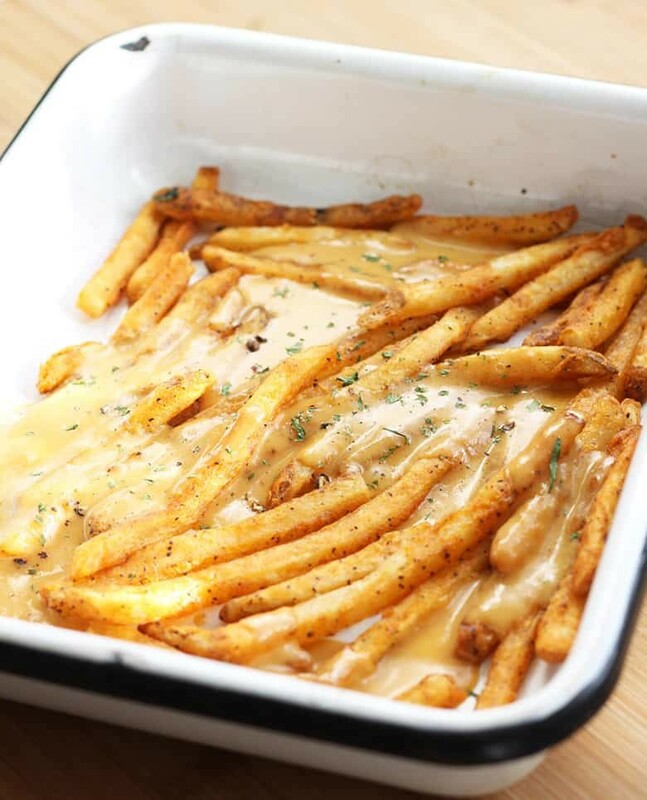 Serve by plating cooked fries and drizzling the cheese sauce all over. 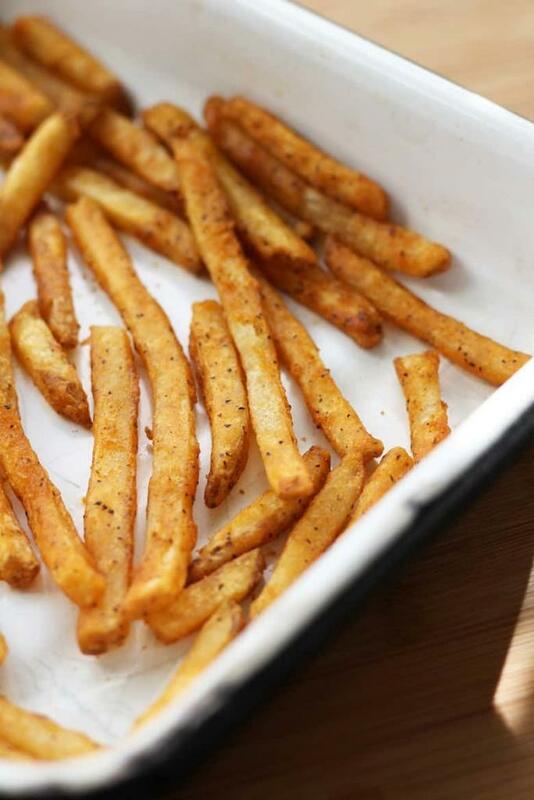 Use seasoned fries like I did if you want more robust layers. Use plain fries if you want the robust cheese sauce to stand out. 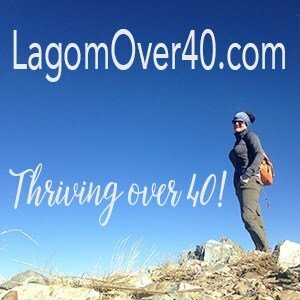 Wow, seriously! This is what you posted on Instagram? This looks amazing, looking foreward to trying this. 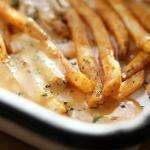 I think I would use the plain fries instead, I know how sharp rarebit can be. Way to go.